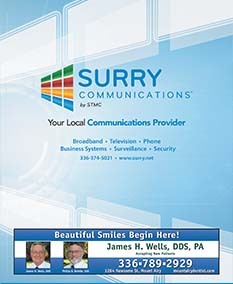 In Surry County North Carolina, you can find a place to do business, a friendly and helpful government and a great life for your family. Our community is located in northwestern North Carolina on the Virginia border located next to the metro areas of Winston Salem and Greensboro. The Yadkin Valley is North Carolina’s first federally-recognized American Viticulture Area (AVA). The Yadkin Valley has over 35 Wineries/Vineyards in the area which makes a trip here well worth your time. There is a wine, view and experience for just about anyone. People do Business with People they Know, and we want people to get to know YOUR BUSINESS! Business at all levels is built on relationships and the Greater Mount Airy Chamber of Commerce provides you the opportunity to build business relationships as well as make new business contacts.